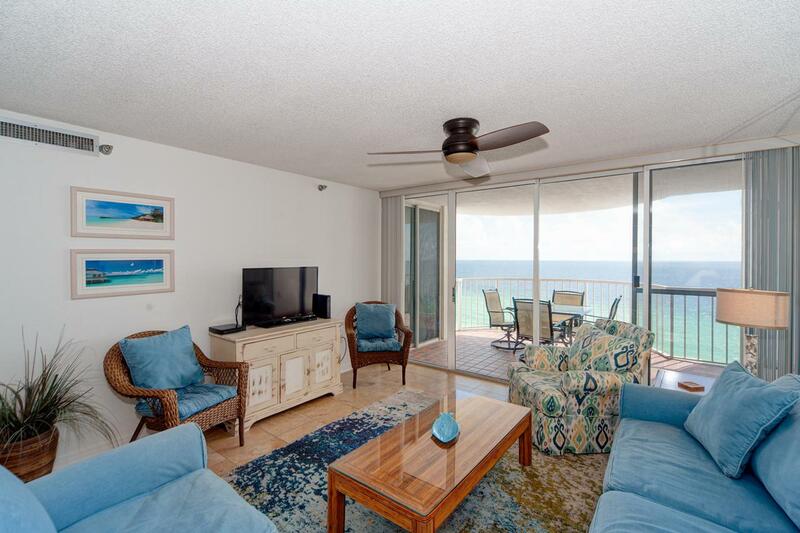 A Gulf front large two bedroom unit in a gated, tennis community. One of the bedrooms is large enough for two double beds with room to spare. 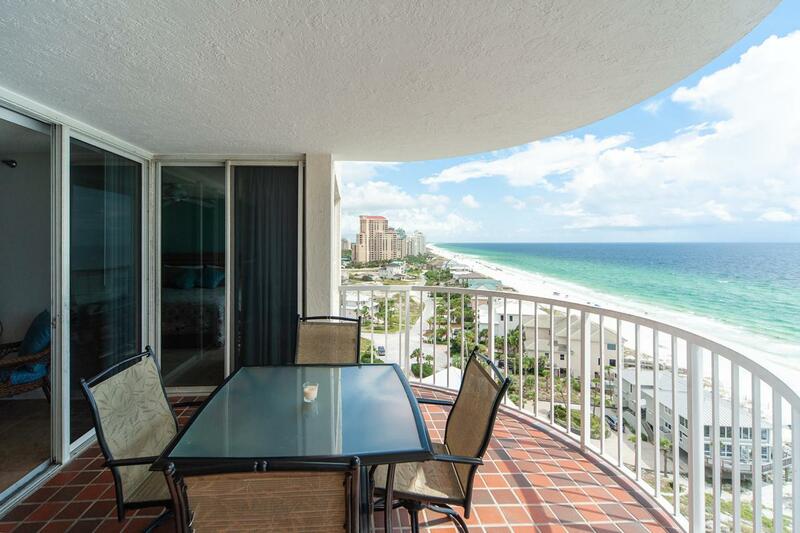 Master has private door to gulf front balcony. 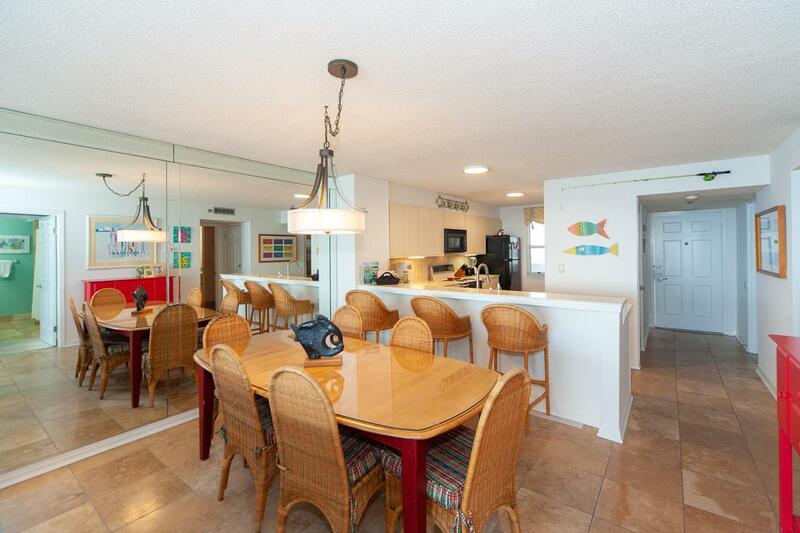 The open living/dining and kitchen allow great views of the Emerald water. Located on the 12th floor right off the elevator allows easy access to covered parking. 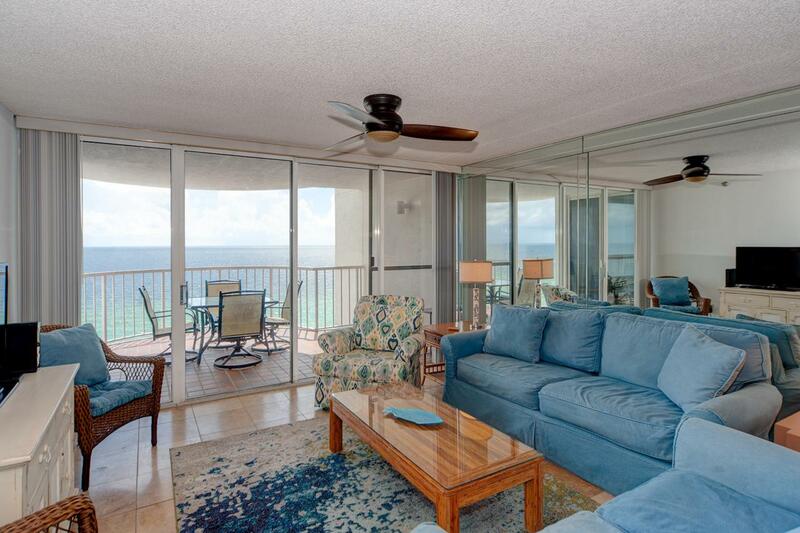 Gulf front views are fantastic and complex is located in Miramar Beach between Scenic 30A and Destin . While all information and dimensions are believed to be true and accurate, buyer should verify.